LAS VEGAS, NV — Today at CES 2018, NVIDIA announced a new series of TV-sized 65-inch monitor models called Big Format Gaming Displays (BFGDs). 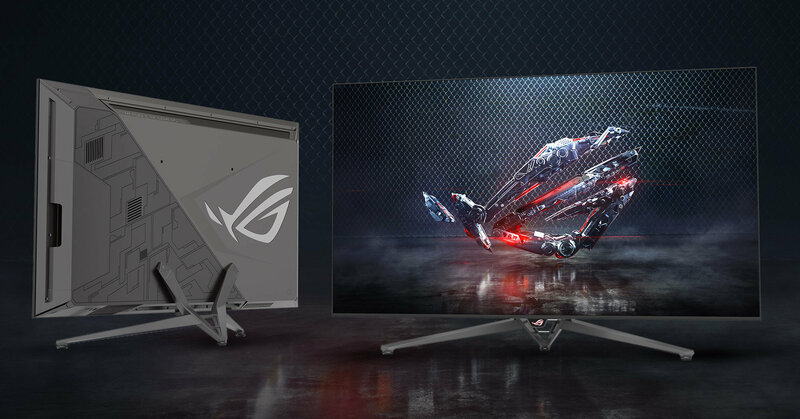 Working with Acer, ASUS, and HP, NVIDIA has incorporated all the aspects that define modern high-end monitors into a TV-sized display: 4K resolution, 120Hz refresh rate, HDR, and variable refresh technology (G-Sync). In addition, the BFGD has integrated SHIELD TV functionality via Android TV-based SHIELD with Google Assistant support, essentially turning the monitor into a voice-controllable smart TV. Continuing on the smart TV angle, the BFGD’s integrated SHIELD allows usage of common streaming applications (e.g. Netflix, Amazon Video), complemented by the bundled SHIELD remote and game controller. And in using BFGDs as TVs, G-Sync supports video playback at a number of framerates common to TV and film, including 23.976, 24, 25, and 48fps formats. As a monitor, though, BFGDs do not have built-in TV tuners. The BFGDs also feature a full-array direct backlight, 1000-nit peak luminance, and DCI-P3 color gamut, as well as local dimming. The panel technology was not disclosed, and while the backlighting technology sounds like a promissing basis for a high-end TV, we're waiting to see just how many zones it actually supports. Meanwhile NVIDIA is also claiming input latency closer to that of gaming monitors than 4K TVs, but details were light. 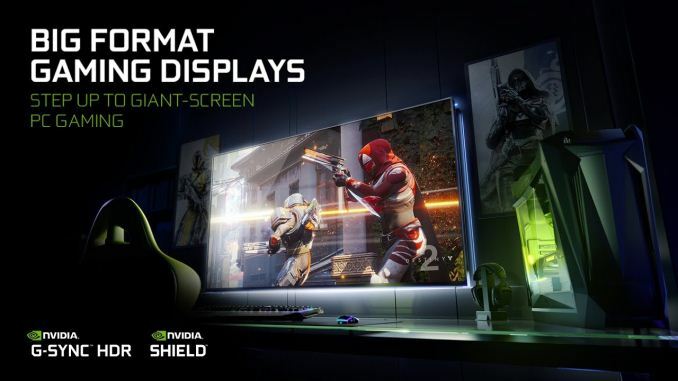 Additionally, NVIDIA appeared to note that the BFGD had an AU Optronics panel, a collaboration with in line with their previous work on smaller 4K and ultra-wide G-Sync HDR displays. Overall, the BFGD sounds very close in concept and in features to NVIDIA's previously announced G-Sync HDR displays. The latter - which still have yet to launch - are set to offer variable refresh with HDR functionality in a standard monitor form factor, so the BFGDs seem to be destined to fill a role as larger versions of those displays. As some of the first BFGD models, Acer announced their Predator BFGD, while ASUS announced the ROG Swift PG65. The HP model appears to be the Omen X 65 BFGD. Availability is expected this summer, and NVIDIA has stated that pricing and further specifications will announced at that time. If this costs less than $2,999, I will be very surprised.